We felt secure with Sophie from the very first meeting. She is just the type of support we were looking for. We wanted a doula who’s well informed but impartial and supportive of our decisions. She’s also a great shoulder to lean on in difficult moments. 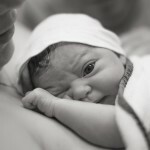 A great doula who’s also a superb birth photographer! Wining combo. We were hoping for a VBAC and we suceeded as a team! Sophie was there to pick up my morale when it served so I could continue listening to my baby and my body. She was there to answer all the questions of my husband as well, his calmness was crucial in most difficult moments. Feeling serene and positive during long hours of labour at home and later in the hospital that’s what it meant for us to have a constant support of Sophie and it has no price tag! Sophie for us was a support during the pregnancy just as much as during birth and in those month we shared most intimate joys and pains with her. It was a pleasure to have her over again post birth and process all that happened. 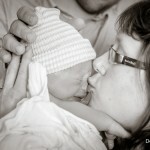 She entered one of our family’s most cherished moments and it seemed so natural to see her again after birth. 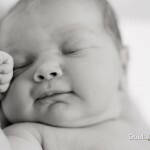 I have said this over and over again to friends and families: hiring a doula was the best spent money ever! Having someone we trusted and who knew the system and helped us navigate all the choices (from choosing a hospital to the list of items to pack in the hospital bag :)) was invaluable. For me, as a first time mother, having someone who believed I could do it, I could give birth to my son, even when I thought I would not be able to, was the difference between natural birth and medically assisted birth, maybe even a Caesarean. Sophie’s help was also invaluable for my husband, Ilan, as it helped him go through the birth experience better. He was an amazing supporter and became an instant father 🙂 I hoped to give birth to a healthy child, who would not be traumatized by the birthing experience. I gave birth to our son, David Jonathan and he is a happy and healthy baby, for which we are so very grateful! I still cannot believe I did it! And sometimes I look at my son and I wonder if the birth really happened or maybe he just came to us on wings of an angel. Or maybe both. And Sophie was our angel! “Sophie made me feel like we have been friends for years. I do not think I will ever find the exact words to thank her for her presence. The most lovely thing about Sophie is her intuition and connection with female magic. I watched as our relationship began to grow and she kept me focused and mentally strong. She helped guide me to a powerful place within myself I had never seen before. My vaginal breach birth was the perfect example of how when a group of people who believe in the power of women’s bodies are in the same room, new life can enter the world just as it always has. The investment of a doula is so small considering the level of support they provide. Thanks Sophie for supporting us through this amazing process. We appreciated having your support and help in the decisions that we made, and especially appreciated your willingness to help us navigate through a birth that we knew couldn’t be “natural”. It was great to find a Doula who was there for us through the full hospital experience. Thank you for not judging us and respecting our wishes for the birth. Rachel: The birth preparation we did before hand really helped us to work through our anxieties concerning the birth and helped me feel confident to trust my body. We are so happy we decided to have you as our doula to coach us through this birthing process. We simply couldn’t have done it without you! Oxytocin is now my new favourite word! Simon: I was so happy as I looked over the beautiful collection of images you made of the birth of our son. All the moments so beautifully, and carefully brought together in one amazing album. Thank you! 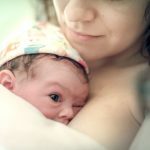 As an expat Family newly arrived in The Netherlands we were full of questions and the only certainty was that we wanted to have our baby at home. Sophie answered those questions, supported our choices, helped us to get a birth pool, took us through her birth preparation, and accompanied me to one prenatal consultation. We had tea and lunch, we laughed and learned together. When the big day arrived, she coached me through to the end. When I thought I couldn’t do it anymore and thought painkillers were a good idea, together with my husband, she helped me to stick to my birth plan. 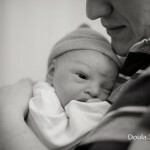 If that was not enough, we were delighted with the most beautiful birth photos and birth book one could expect! In a few years, my daughter will be able to read her own birth story and grasp the beauty and uniqueness of that night. I am originally from Venezuela. In my country giving birth vaginally is considered old fashioned and for people that do not have enough money to go to a private clinic to plan a c-section. It is considered the best care a pregnant woman can have in Venezuela when she has a planned c-section. Considering my background and all the influence from my Venezuelan family it was very difficult for me to understand and to accept the Dutch mentality around birth. In my preparation with Sophie she helped me a lot to understand the natural process of giving birth. At the beginning, I was completely against a natural delivery. I at least wanted to have an epidural in case of having a vaginal birth. As time went by I understood that there was a possibility there would be no time for an epidural if dilatation progressed quickly, especially because it was my second baby. I began to see that it was maybe better for the process and my baby to have a natural birth. When I was 39 weeks and 4 days pregnant Sophie came to my home to give me a relaxing massage. It was great and put me to sleep. About two or three hours after that magic massage the contractions started. When the dilatation started I was at home managing the contractions very well. When the pain was more intense and the frequency higher I went to the hospital. Sophie met us there. I arrived with 5 cm of dilatation and just 30 min later already 7 cm, so as I had expected there was no time for an epidural. I understood within those few minutes that I was in for a completely natural delivery. I tried to accept it quickly and decided to do my best to go with the process and put into practice everything that I had prepared with Sophie. I need to say that it was very difficult for me. It was very painful and intense. I had many hesitation moments and I was not sure I was going to be able to do it… but I listened to Sophie saying you are doing a great job, and I felt the hands of my husband giving me his support and I renewed my energy between one contraction and another one, waiting for the right moment to birth my baby. When the pushing feeling arrived I was afraid… that was my biggest moment of hesitation and fear, it was saying to me that I wouldn’t be able to do it. But again the support of Sophie and my husband helped me to continue, there was no other choice and a few minutes later my beautiful daughter was on my breast, pink, with her eyes open. All my fears suddenly became a wonderful experience. I was really proud of myself and felt huge satisfaction. I was exhausted but incredibly happy… as if I was finishing a marathon in first place and beating the world record And there she is, looking at me now after almost two months, and I imagine her saying: “Thank you Mama for letting me decide the moment to come into this world and for giving me the opportunity to have a natural birth” She is a very peaceful baby, sleeping almost all the night, reflecting happiness and peace to our family. I want to say thank you Sophie for never judging me and for leading me on this journey to this successful birth! Having a baby in a foreign country is stressful but with Sophie by our side we felt empowered. Her calming presence and thoughtfulness provided support in the most intense moments of our lives. When everything seemed to be taking a turn unexpectedly, Sophie was there, thinking of how we could make the best out of the situation and make the birth as close as possible to our original birth plan. 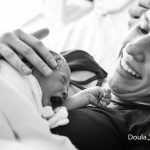 Not only did she provide amazing Doula support, but Sophie also took the most beautiful photographs of labor and our first moments with our son. She visited again the following day and took more photos. Thanks to her, we now have a stunning album with our birth story, a gift that we will treasure forever. Sophie’s support gave was priceless, and we look forward to having her present at all of our future births! This is the first birth that brings a smile to my face” (Markian is Olga’s third baby) I can’t even begin to express my gratitude for your support. You have made a huge difference. During pregnancy, I was not sure whether I was on the same page with my midwives, which in the end motivated me to search for a doula, and in you, I couldn’t have found a better person to help me through pregnancy and birth.You were always there for me when I had questions or concerns. You toured the birth center with me and went to one of the midwives appointment. You showed me I had more options that I considered possible- and motivated me to get pain relief if that was right for me- which made the whole experience more manageable. You never judged me for my choices, were very compassionate and had a great sense of humour! I loved how you interacted with my two girls and the oldest one still talks about you. You gave me two great massages, the second of which sent me into labor a day later. Even though there was a change of plans (I had to go to the hospital instead of the beautiful birth center), I was calm because you were there.My husband also benefited greatly from your presence during birth. I could see it in his face during labor- it was calm and composed, instead of pale an anxious like the last time. I think it was because he knew I was in good hands and also because he wasn’t the only person responsible for my birth experience.During labor you made my wishes clear to the hospital staff. The fact that you speak both English and Dutch, and also know the Dutch healthcare system and the wishes of expat women was a big help.